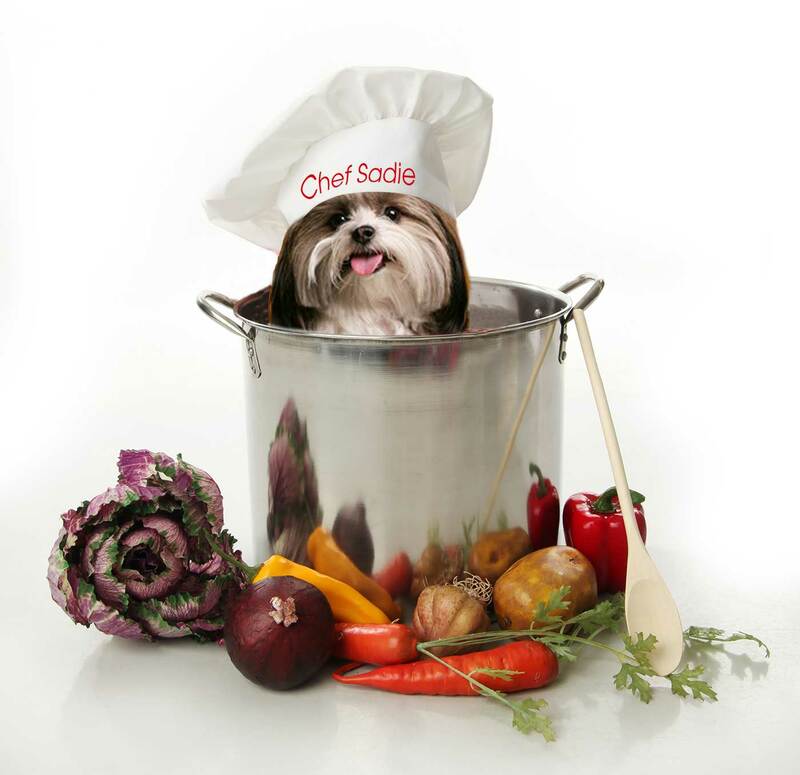 I am working on my PupScout Ice Cream Badge and have a recipe to share with everyone. Now this recipe is not for the faint of stomach, there is a waiting period for eating this wonderful PupCream. 1. Pick out some nice ripe B.A.N.A.N.A.S! 3 to be exact. HERE IS THE HARD PART…PUT THEM ON ICE AND FREEZE OVERNIGHT-NIGHT. NITE, NITE BANANAS… see you in 24 hours! SERVE IMMEDIATELY or place in a container and freeze for a firmer treat. I eat mine rignt away! No time like the present to give yourself a tasty treat. If you like, you can add in strawberries or blueberriess too! I like mine classic. so make sure to finish your bowl or they may eat it! 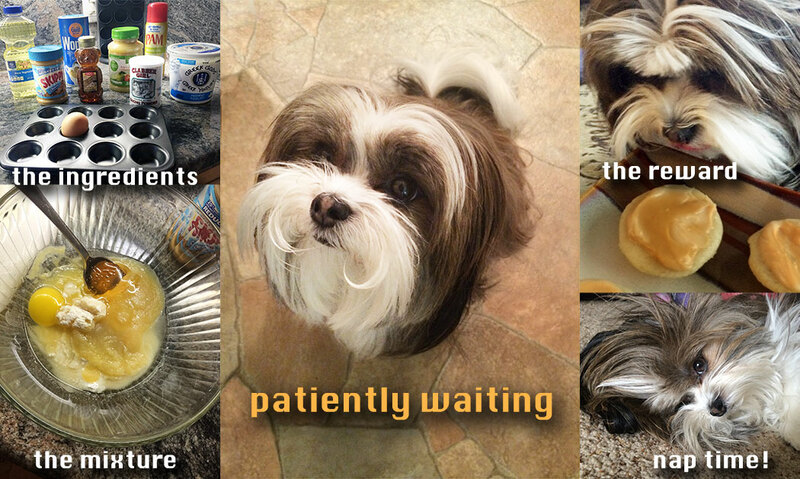 Pupcakes… we all want Pupcakes!!!! The kitchen has always fascinated me, it is a magical area in the house. There are large shiny objects in that room that open and often dispense yummy items. Some of them are tall and cool air flows out and others are short and I am told to sit and stay far away from them as they have hot breath when they open up. I think it must be a grumpy monster or something. We are using both of these magical kitchen instruments today and I must say I am having a hard time waiting. Preheat (the grumpy monster) oven to 350 F.
Line 6 standard muffin tins or 12 mini muffin tins if you are a petite pup like me with paper liners, or spray with non-stick cooking spray and set aside. Whisk together, in a medium bowl, the flour and baking powder. Add the vegetable oil, applesauce, egg and honey, and whisk gently to combine. Divide the batter between the prepared muffin cups and bake until a toothpick inserted into the center comes out clean, 10 to 15 minutes. Allow your pupcakes to cool completely before frosting / serving. To make the frosting, stir together the yogurt and peanut butter, then spread on top of each pupcake just before serving. The pupcakes can be kept for up to 3 days in the refrigerator, that is if you don’t eat them all first! Enjoy and keep your tail wagging, it makes for a lovely breeze during the summer! A healthy four-legged diet must contain the proper balance of proteins, fats, carbohydrates, vitamins, minerals and water. Which is why my people cook a few meals just for me. Today we will be sharing one of my favorite recipes as well as a few more fun places your people can eat in the Los Angeles area while enjoying your company too. 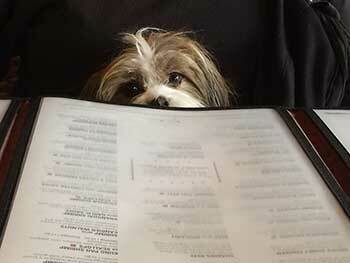 I just love dog friendly restaurants. It is almost summer again and the grills are all coming out and that means hamburgers and hot dogs. WARNING… hot dogs are on my DO NOT EAT list because it is a processed meat which contains dangerous fats and nitrites, which have been known to aggravate health problems, such as pancreatitis in dogs. Plus as you know I am the only “hot” dog allowed to be in my two-legger’s life! Get your barbie on or if you don’t want to grill, just preheat your oven to 400 degrees. On the grill no tins needed if baking, spray a muffin tin. Steam your rice or cook in small pan on stove. Once cooked, remove from heat and let cool. In a large bowl, combine potato, carrots, celery, cauliflower, ground beef, celery, parsley, sage and eggs. Mix ingredients together, my people like to squish it in their hands. Add olive oil, rolled oats, and rice, and mix well. Pat into little pup-patties or fill each muffin cup and pat down firm. Grill til cooked or bake 45 minutes. Cool on a rack, or remove the meat Pup-Patties from the oven tins by turning the muffin tin upside down over or scooping out with spoon or fork. I have been pawing about town with my two-leggers and have a few new dog-friendly restaurants that you can enjoy with your people. I loved this place they were very attentive to my four-legged needs. I was served just like the two-leggers. Fresh cool water for a warm sunny California day. A nice, relaxing little Italian joint that has authentic Italian food, my people love the lasagna, garlic cheese bread and the pizza. They always offer a nice cool tin of water for the four-leggers. Great value happy hour menu. hours: 8:00 am – 3:30 pm A wonderful alley way patio hidden off Ventura Blvd. 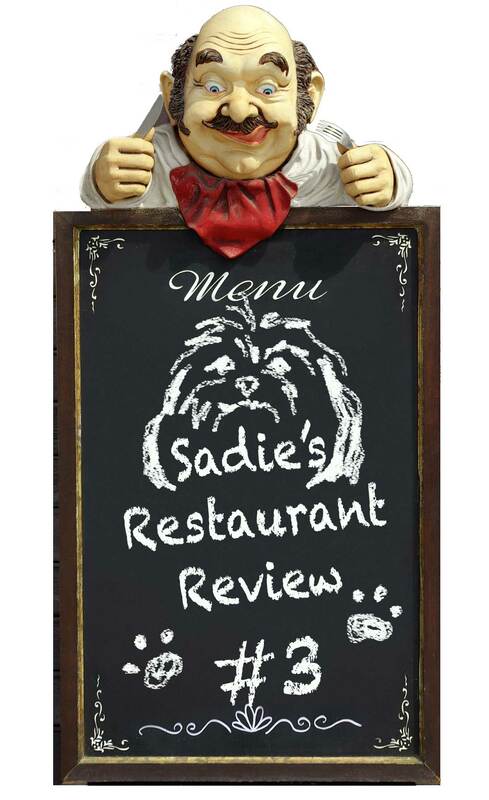 hours: 11:00 am – 2:00 am The food all looks beautiful and they were very happy to serve me a fresh water bowl. We love the food here but be warned about the service. As with most Hollywood places your waiters are wanna be actors and not always attentive to the details. So speak up when they forget to bring you something you ordered because it won’t show up until you get the bill. Woof!